How do you find inspiration to create something new today? When I’m trying to discover something new, or make something new, or find a new perspective, I tend to look at the machines differently. I tend to hook them up differently—so that it’s not always the same approach. For instance, I will only use the tom toms, and maybe the ride and maybe the clap, for most of the music production—not the kick or snare or anything like that. Or, I will put it in a completely different scale and see if that works, and if not, then I’ll change the scales to see which of these four scales would give me something that’s unusual—that would make me think about what I just made in the music differently. And then I end up with something that’s completely different. Sometimes I plug the machine into the keyboard itself to make the keyboard do something that it would not normally do—if I were to program it on its own. Some compositions tend to have more effect than the actual original voice itself. I’m always looking to try to find new ways to interpret the idea. The subject I work in a lot is space—science, and space travel, and colonizing planets, all types of things like that. And my studio is set up for that—heavy outboard. The equipment is set up in a very basic way, where I have to go to each machine and use the functions of the machine, rather than use the computer to be able to find those things. And I do that in a way to make it a bit more difficult, because I’m only confined to the function of that switch on the machine. If you understand that—meaning that in order to be able to use cutoff, for instance, if that’s just a switch, then I’m confined to what the switch does, and that will make me think of how to use the switch differently. I would prefer to actually work more hands on with the machine. I’m a computer man that way. I connect one machine to the next, into the next, into the next and then use this as a clock. So it’s as close to playing the machines as possible, not programming. What advice would you give to a younger producer? The best advice that I can give is try to learn an instrument first, particularly percussion. Get two drumsticks and learn how to play a specific rhythm and what the feel is of how to play. Then turn to a drum machine and try to get the same feel that you have when you play with drumsticks on the machine. Or, learn how to play the keyboard and then turn to a sequencer and figure out how to get the same feel of playing naturally on that sequencer. It’s important because your listener is not a machine. Your listener is a person, and so are you, translating music. It helps if you can put the human aspect back into the process. You probably will tend to want to put your personality and your character into the composition because it’s your work. To do that, you have to understand what that feeling is like. It’s important to know what that is first—learning an instrument, learning what it really feels like to play, or learning what it feels like to find how difficult it is to actually play the trumpet. How difficult it is can play a role in your approach when you get to a digital and sequencing point. I would also recommend when you make music, don’t let anyone hear it. Just make it and put it away. Make a lot of it and just put it away. Then, after a certain point, go back to listen to it to see what the common links were between all the tracks that you made—what stands out and is close to your character in all those tracks. You will see what you do best this way. If the percussion is really great, or the bass lines are very unique, you know you have a special gift for that, and there’s where you can make the starting point. So if I were young, I would make 50 tracks, but I would only want to study number 50, not the other 49. The other 49 are made to get you to 50, and 50 is the most important one. And, if at 50, you think that there’s something special, then people may need to hear that one, but not the other 49. What do you see as the future of electronic music? There’s an easy explanation and then there’s a deeper explanation. The easy one will be that electronic music will be shaped by how we all use technology—if machines become more advanced, and can extract more than what you physically do, like extract more of how you feel and interpret your feelings, not just sound, but your surroundings, through VR, and many other ways. That'll be interesting to do. The deeper answer is that we will begin to need to use electronic music for more important things, other than just dancing. The world is changing all the time, and people are also changing all the time. In the past we’ve kind of flirted with the idea of using music—dance music, electronic music—for more meaningful reasons. These times will come, and the music will be here. Luckily it hasn’t been categorized. There are still no boundaries to electronic music, it’s still undefinable—exactly what it should be. That will help us use it as a tool for what we need. It will change as we will change, and it will become what we need it to become in order to be able to express how we feel. The larger question of what will happen to music is that, I think—thinking very far in the future—music, art, dance, all of the creative fields will become closer together. Some things will change drastically as a result of ourselves changing—our view and definition of what entertainment is, the way that we communicate. I think that there will be something that will encompass everything. The reason why I say that is because, if you look at all creative art forms—dance and art and things—they’re all based on making you feel a certain way. What if we can feel that certain way and get there by other means, or more quickly, or in a more profound way. That will be getting closer to what we really want. When I listen to Marvin Gaye, I’m not listening to music. I’m listening to Marvin Gaye. I’m listening to how he’s singing, because I want to feel how he’s feeling about the world. 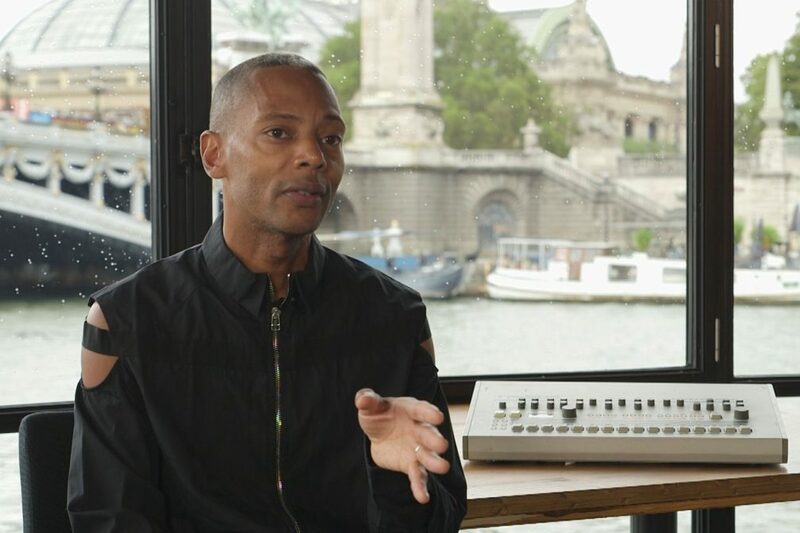 If I can have a more profound way of getting there—if I can feel what Marvin felt, if I can be in the studio and experience him actually laying it down and writing it out—I would choose that rather than listening to his music. Technology might be able to get us there—you know, hanging out with Mau5 on the day that he wrote this, or being in the recording studio when he was fooling around with that. These types of experiences might become a part of entertainment, and entertainment as a definition might change. Entertainment might just be experience, and in the bigger picture, I think that music might become a small part of that. Music and sound might be part of that kind of entertainment experience very far in the future. We’ll do away with vinyl. We’ll do away with turntables. We’ll do away with machines, computers, and everything else. If you want to go to Mars, you’ll just go to the surface of Mars, and you’ll hear what it sounds like on Mars, and you’ll feel the wind, and smell, and everything else.That—I actually believe—will be the ultimate form of entertainment.